Sail Cottage is a delightful fisherman's cottage in a prime seaside location in the picturesque coastal village of Beesands, South Devon. 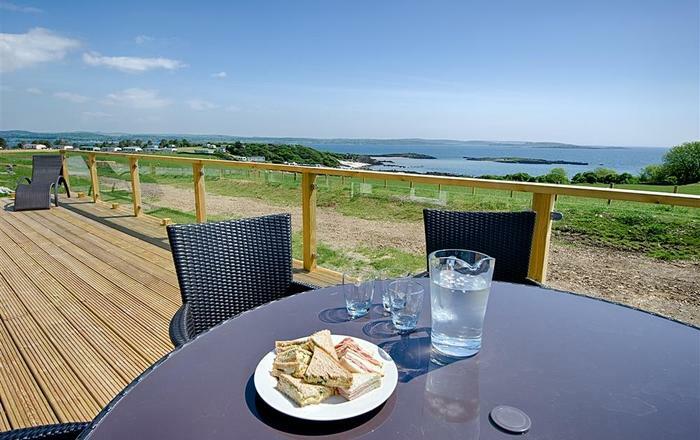 Wake-up to the sights and sounds of the sea lapping onto the pebbled beach a few yards from the bedroom windows. 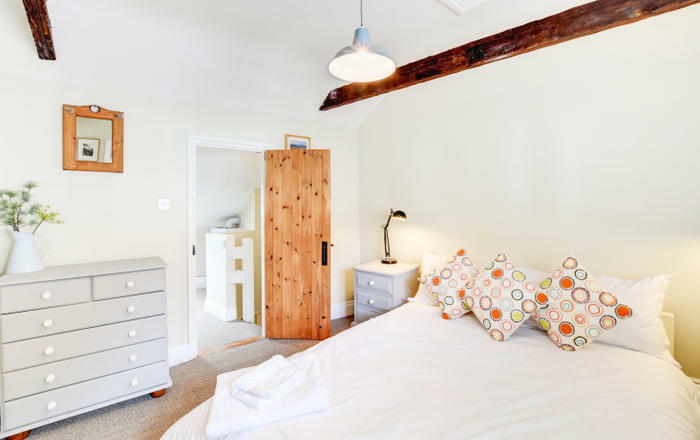 The cottage has been tastefully decorated throughout, and reflects a sympathetic modernisation, whilst retaining lots of character. Solid oak floors and warm cosy lighting are complemented by the owner's tasteful nautical theme. An additional feature of this cottage is its charming rear garden. 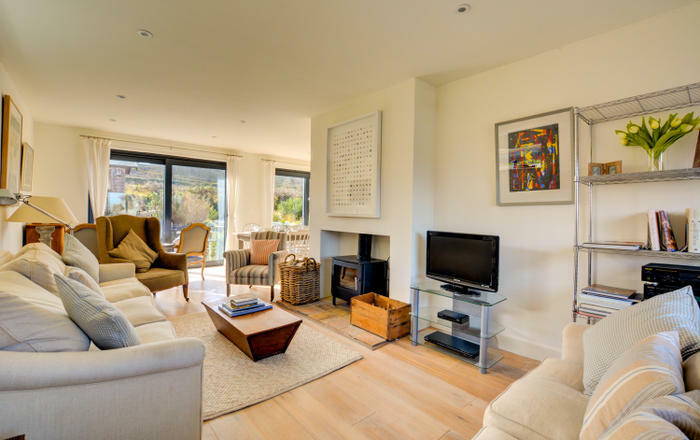 Spend the day exploring the coves of Start Bay via the coastal path which runs directly in front of the cottage; and in the evening stroll a hundred yards to the local pub, or alternatively snuggle up in front of the welcoming wood stove. 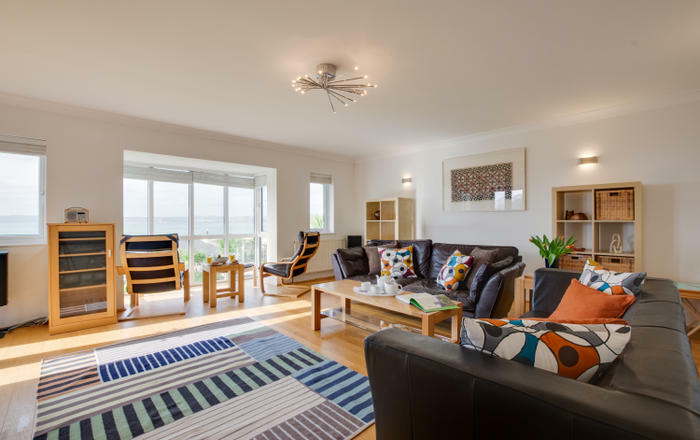 Beesands retains its fishing heritage, and provides a peaceful location to which enjoy a beach holiday or a base to explore the South Hams coastline. Front door opens into small porch. 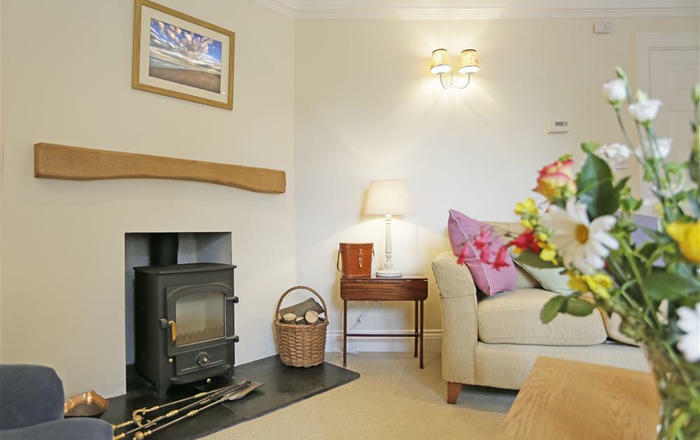 Charming beamed sitting room with oak floor, inglenook fireplace with wood-burning stove, sofa, two armchairs, flat screen TV with DVD, Bose radio / CD player. Fitted bookshelf with plenty of fictional / local books and DVDs. Door into modernised but traditionally presented kitchen/ breakfast roomwith small dining table and shaker style kitchen with Belfast sink, equipped with an electric Everhot range (Rayburn style)with two ovens, grill, hot / simmer plates, fridge with ice box compartment, slow cooker, microwave. Door to rear garden, outside modern WC and laundry space with washing machine in outside store, rotary line in garden. First floor: Bedroom 1 with superb seas views to the front of the property, 4ft 6in bed, flat screen TV. Modern family bathroom with bath, electric shower over, hand basin and WC. 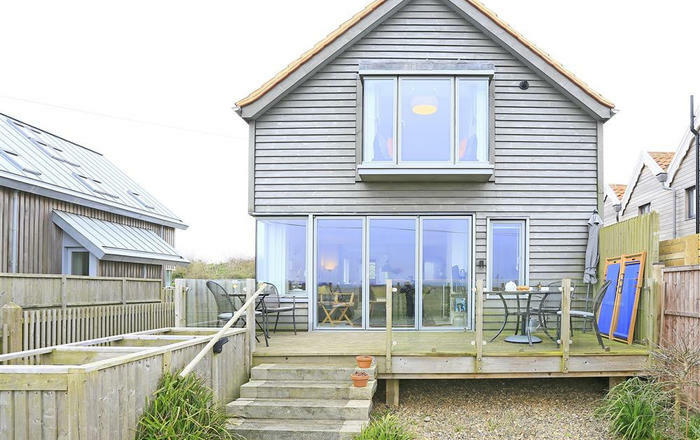 Steep flight of stairs to second floor: light and airy beamed Bedroom 2 with two 3ft beds with panoramic sea views. Parking: Unrestricted public parking opposite cottage. 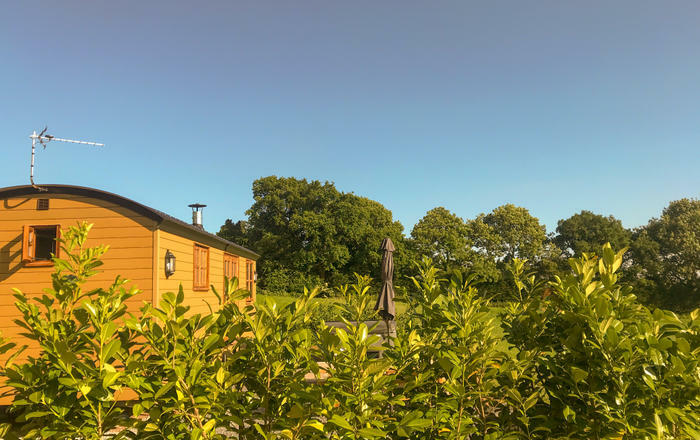 Included: Bed linens, electricity and heating (night storage), complimentary basket of logs. Please note: Allergy sufferers should be aware that although dogs are not permitted, the owners do occasionally visit with their small dog. Local Facilities: Beach 10 yards. Pub 100 yards. Seasonal village shop and caf? selling basic provisions and freshly caught seafood. Farm shop 2.5 miles. Dartmouth 10 miles.